An SOS alarm (new 2019 model) that works anywhere – not just at home. When button is pressed it immediately sends GPS location & starts calling up to 5 people (can call 000). Features automatic fall detection with speakerphone & microphone in pendant. Showerproof. Scored highest in 2017 & 2018 CHOICE tests. No monthly monitoring fees. With the LiveLife Mobile Alarm you can go anywhere knowing help is just a press of a button away. It is perfect for people who want to feel safe everywhere – not just at home. There is no need to have a mobile phone. Avoid the hassles that old fashioned home based alarms have with the NBN. A simple to use, stylish pendant that works using the full Telstra mobile network. 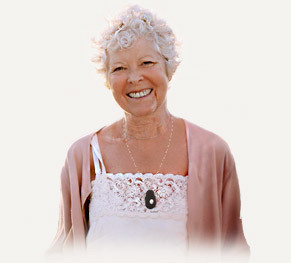 With built in GPS tracking the pendant calls up to 5 of your emergency contacts (can call ‘000’). At the same time it sends up to 5 help messages showing the wearers location on Google Maps accurate to within 2 metres. Unlimited emergency voice calls & texts. Customised software – no false alarms. When one of the emergency contacts answers the wearer is able to talk hands free through the shower proof pendant. Anyone who knows the mobile number of the pendant can call it and it will answer in speakerphone mode. German design, Swiss precision GPS, reddot award winner. Uses the full Telstra mobile network – not Aldi. Covers 99% of Australia’s population. Calls up to 5 friends or family (can call 000) until someone answers. Has 2-way “hands-free” voice communication with high quality, easy to hear audio. Automatic fall detection. Sends “fall alert” text with location & calls up to 5 contacts. Uses GPS and Google maps to send your location to your contacts immediately. Family & friends can call the pendant. Pendant can call out to nominated contacts. Pendant is shower & rain proof, comfortable and weighs the same as three 20c pieces. Price includes SIM card, setup and delivery. Completely ready to go out of the box. No contracts or monitoring fees. 12 month warranty. 14 day money-back guarantee. Click here to view a full list of what is included with your LiveLife Mobile Alarm. What’s included with your purchase. Everything you need. No monthly monitoring fees ever. In emergencies your LiveLife Mobile Alarm contacts the people who love you & know you the most – family & friends, not a stranger in a call centre. No need for a landline, NBN, mobile phone, internet or wifi. Includes unlimited calls & texts for the 1st year on the full Telstra network. Ongoing costs are just $45 each year from Year 2 (pays for unlimited calls & texts). Quick start guide and manual. Attractive, adjustable & breakaway safety lanyard. Sleek, adjustable & robust wristband. Belt clip. $50 referral VISA gift card. Location feature: Want to know exactly where the person wearing the pendant is at anytime? Just send a simple text message to the pendant and it will send back the exact location on Google Maps. Uses the full Telstra mobile network which gives the widest coverage in Australia of 98.5% of all populated areas. Fall detection: Includes an automatic fall detection feature that sends text messages to up to five contacts. When it detects a fall it will beep for a short time before sending the texts and then beginning the help call sequence. Wandering feature: For people who are at risk of wandering the Geo Fencing option allows warning text messages to be sent if the wearer strays outside a defined area such as a 500 metre radius. No lock in contracts or monitoring fees. Comes with a 14 day money back guarantee and 12 month warranty. Texts and then calls up to five emergency contacts when the help button on the pendant is pressed for three seconds. Consecutively (one by one) calls each contact until someone answers. Wearer or responder can cancel the call sequence at any time. Using GPS all help text messages contain a link to Google Maps displaying the location of the wearer on a map with accuracy to within 2.5 metres. Wearer can call a nominated contact by pressing the side talk button at any time. Speak and listen to calls through the pendant’s built-in microphone and speakerphone. You can include ‘000’ as one of the emergency contacts that is called. Easy to recharge in just 25 minutes by popping into the charging station. Battery can last up to 3 days. Wear your alarm as a watch. Includes a sleek, adjustable and robust wristband. The LiveLife Mobile Alarm comes with a 14 day money back guarantee. Simply return the alarm unit in it’s original packaging within 14 days of purchase for a refund. Once we receive the alarm in it’s packaging we will refund you the purchase price less $95.00 (postage, setup and prepaid credit) within 7 days. See our Customer Service page for more details on our guarantee and returns policy. Operates on the latest modern Mobile Network using Telstra or Optus via Prepaid Micro SIM. Uses GPS tracking to locate pendant with link to location in Google Maps to within 2.5 metres. Uses in-built microphone and speakerphone to communicate handsfree. In an emergency calls and texts up to 5 contacts. Can call 000. Has fall detection option with short delay to allow cancellation. 3D accelerometer detects angle of fall, force of impact & time of no movement. Dementia wandering feature: Geo fencing option can be set to send warning texts when user strays outside the geo fenced area. Transmits and receives on the latest modern mobile network via voice and text messages. Waterproof rating of IP67. Warranted for shower use only (do not submerge in water). Battery low indication via text message to contacts. Antenna: Internal WCDMA high energy design. GPS: Swiss precision U-blox 7 chip. Supports A-GPS with programming of local co-ordinates pre-delivery.